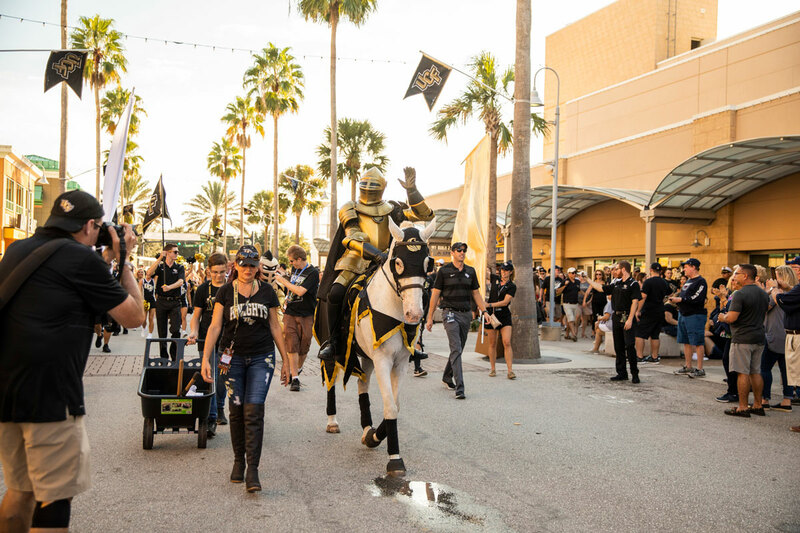 1Knightro helps lead the March to Victory through Knights Plaza on the way to Spectrum Stadium. 2Pegasus joins in the game day tradition of the March to Victory. 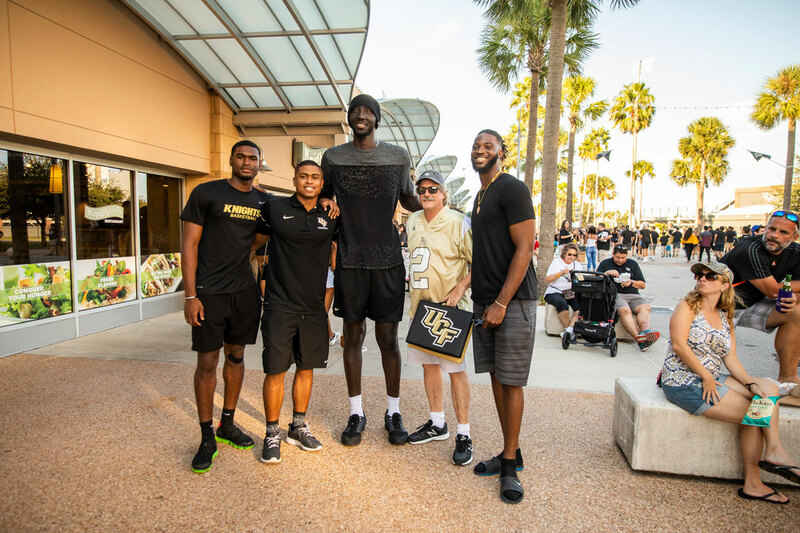 3(left to right) UCF men's basketball players Dre Fuller Jr., BJ Taylor, Tacko Fall and Chad Brown pose with a fan (gold jersey). 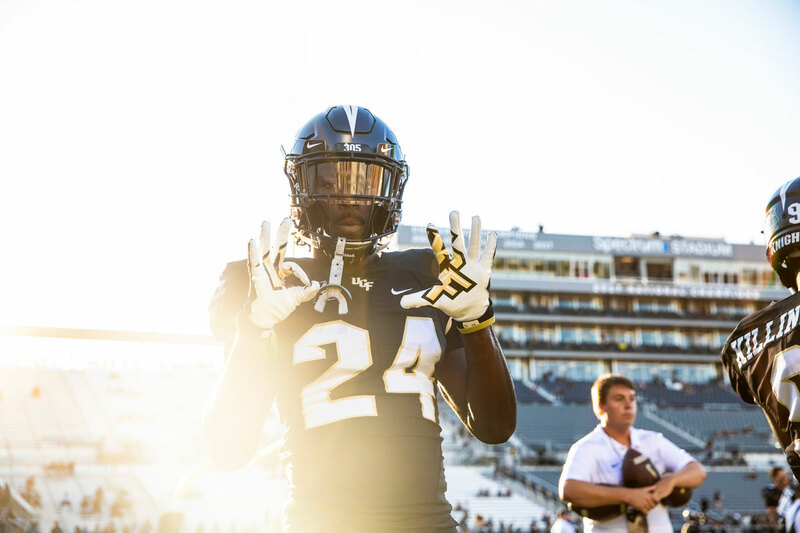 4With the win, UCF now leads the all-time series against FAU, 2-0. 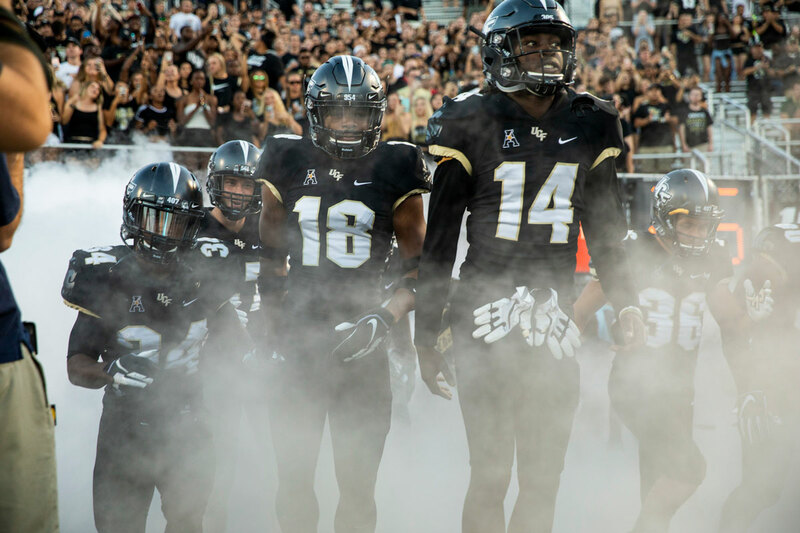 5For the 16th straight game, the Knights scored 30 or more points — a streak that leads the nation. 6Marlon Williams scored his first touchdown of the year and third of his career just before halftime. 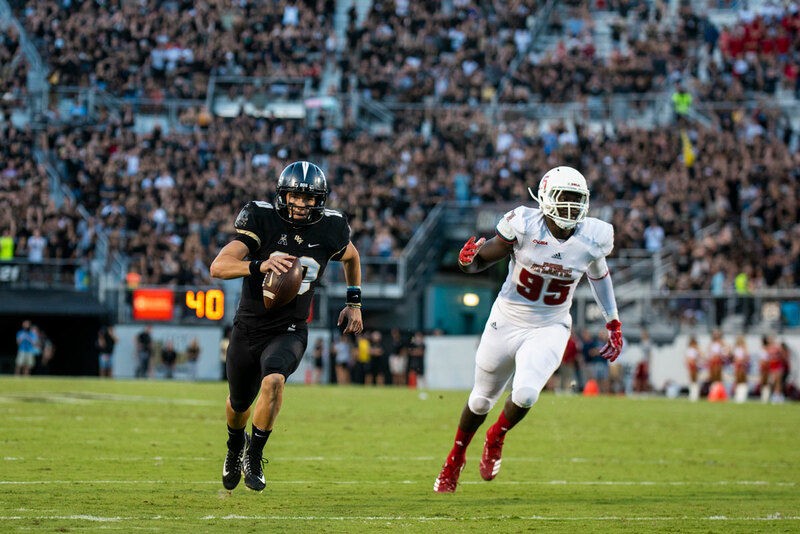 7UCF quarterback McKenzie Milton scored six touchdowns and was named the American Athletic Conference's Offensive Player of the Week for his efforts. He has played three games in 2018 and has earned the Player of the Week award following two of them. 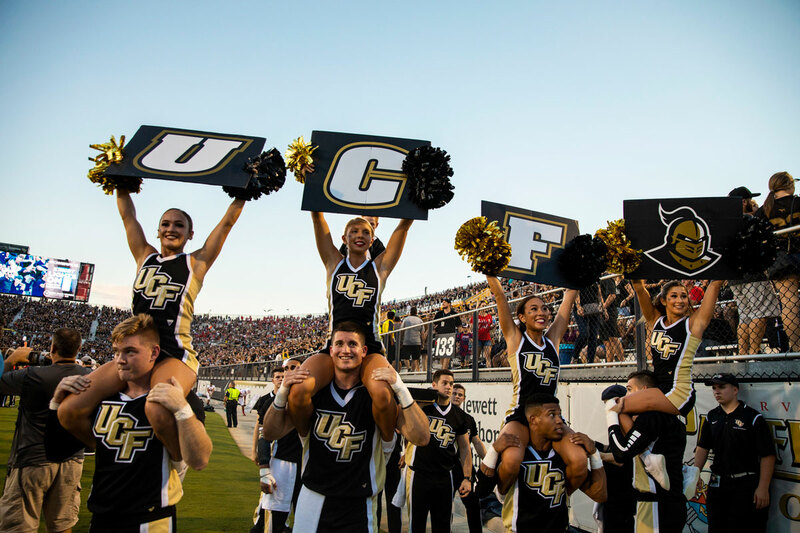 8The Knights’ third victory of the season came in front of a more-than-capacity crowd of 44,257. 9previous best of 15 set by Memphis. 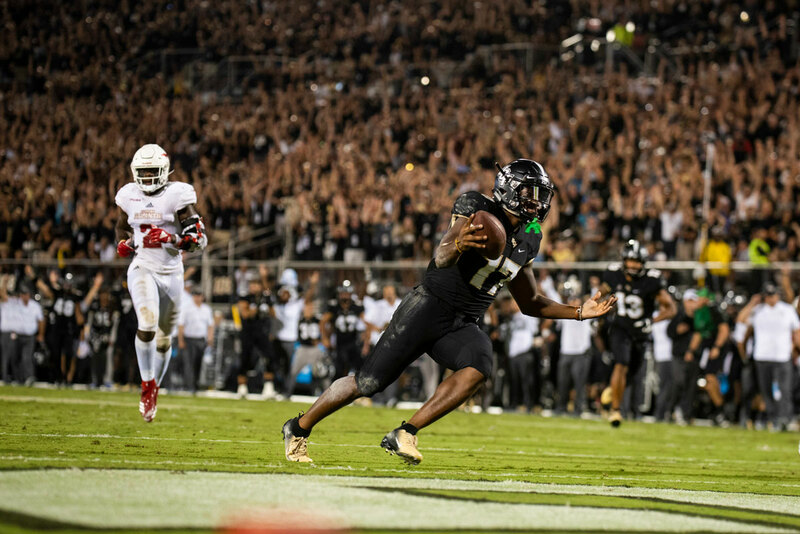 10Following the win, the Knights climbed to 13th in the nation in the AP Top 25 Poll and 14th in the Amway Coaches Poll. 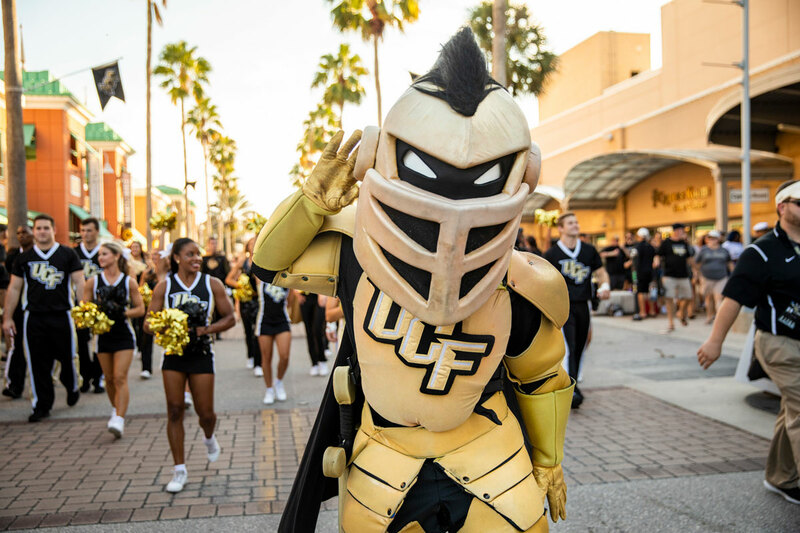 UCF is the highest ranked team in the state of Florida. 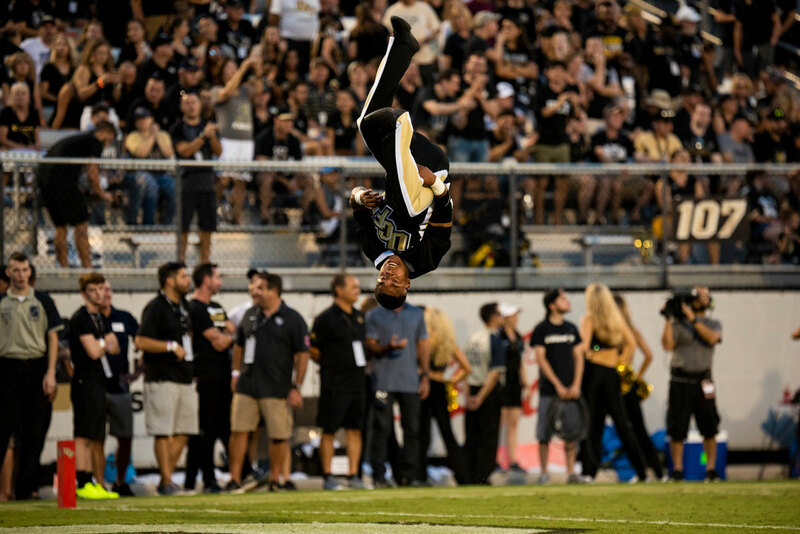 11Expect to see cheerleader Jay Hollman tumble through the end zone when UCF plays at home again with a 3:30 p.m. matchup against Pitt on Saturday.